Contact A1 Overseas International to learn more about auto shipping to Paraguay! Get your FREE quote by calling 1-800-450-5319 or filling out the form! International auto transports need to be handled by professionals. One must comply with the vehicle import and export policy for Paraguay and have the right equipment for the shipping process. A1 Overseas International has the experience and can help you safely ship your automobile. They have a variety of shipping options for their customers and will be with you through the vehicle shipping process every step of the way. Over a month before your vehicle is scheduled to ship out to the country, contact the Embassy of the Republic of Paraguay for the current auto import policy. Prepare according to their laws. This can take some time, but you’ll have professionals helping you through it all. Luckily, Paraguay’s import laws for vehicles aren’t too strict. Why Should I Ship My Vehicle Internationally? Whether you’re going to Paraguay for an extensive period of time or going to reside there permanently, having an automobile with you will make life in a foreign place more convenient. You will be able to freely travel through your new surroundings without the hassle of catching public transportation. Some country’s auto import policies are stern and not easy to fulfill. 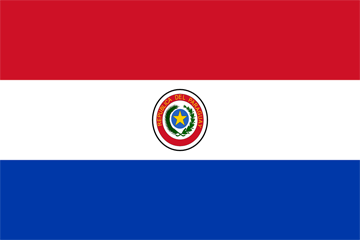 Paraguay is a little more lenient with their import laws and therefore, the regulations are easy to comply with. It won’t be long before your vehicle is shipped safely to its new home. Other documents such as passport, license and insurance verification are usually requested as well. Even carry the title and registration with you when you visit Customs just in case.